According to astrology, as Earth moves from the Piscean to the Aquarian age, we’re shifting from a top-down, individualistic way of thinking to one where people collaborate in small groups and where each person benefits from the knowledge and experiences of the others. 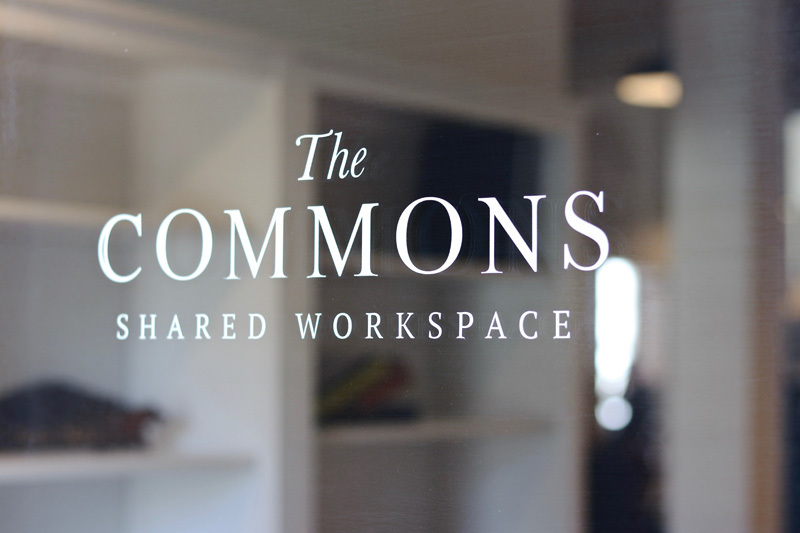 Small groups and community are what The Commons, at 209 West Street, is all about. 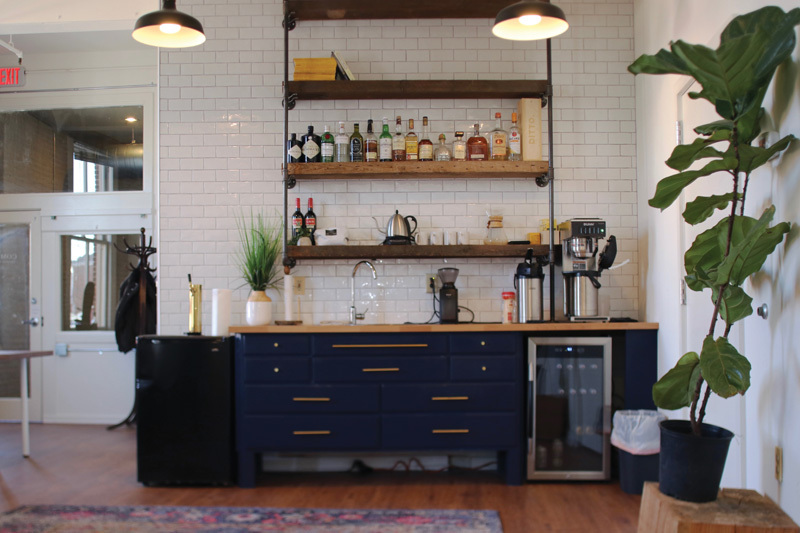 The 3,600-square-foot second floor in the Livery Building is home to web designers, freelance writers and editors, a landscape architect, a financial advisor, and a photographer, among others. The Commons founders Ben Isenberg, who runs the Symmetry Agency, and Jeremy Olsen, who consults in the nonprofit health field and manages the space, work there, too. Aesthetics at The Commons are spare yet warm, with exposed brick walls and art by local artists, wood floors and shelving, and communal spaces where local coffee is available. 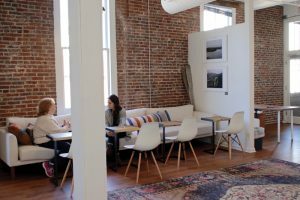 It was over beers at Galway Bay Irish Restaurant in autumn 2016 that Olsen, landscape designer Jordan Crabtree, and photographer Patrick McNamara had one of those “Wouldn’t it be great if . . .” conversations about developing a coworking space downtown. By serendipity, Olsen met Isenberg later that week. 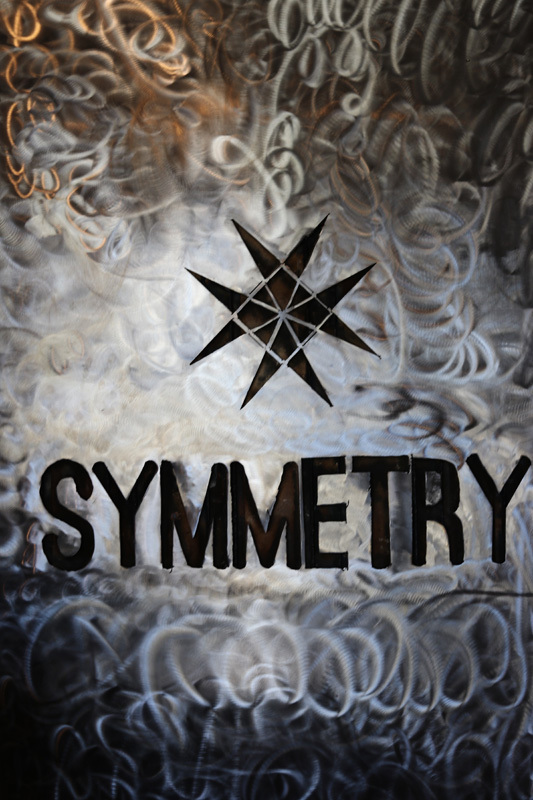 Symmetry was located down the road, at 203 West Street, but Isenberg, who had a suite at 209 West Street, noticed that two other suites opened up. 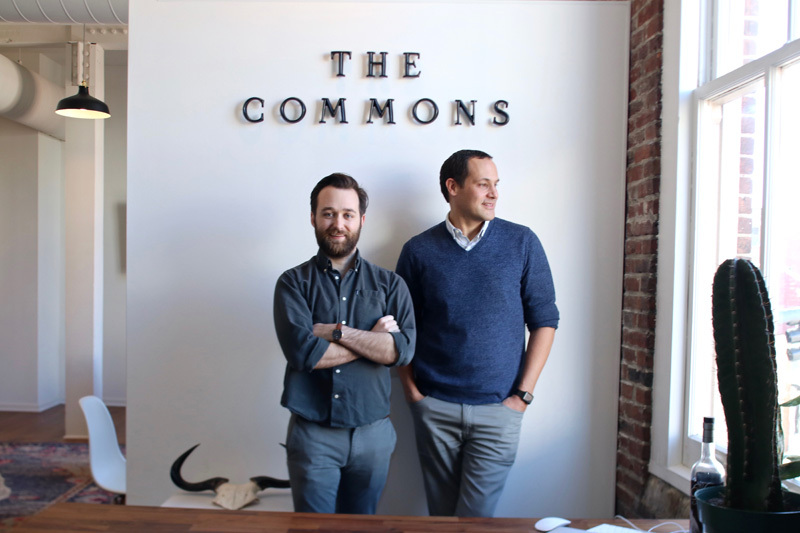 They talked with the owner about designing it as a coworking space, and The Commons was born. In June 2017, potential tenants lined up to snag spaces. 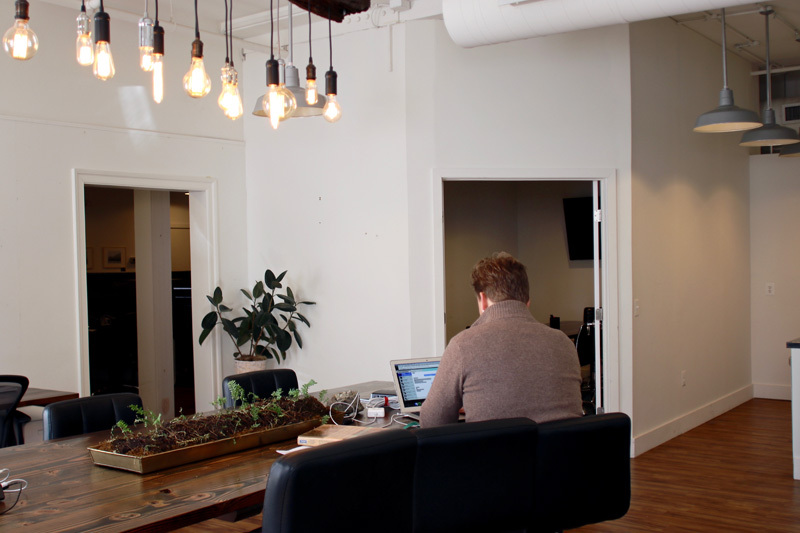 A few private offices are for longer-term rental, as are desks that have lockers for tenants to use as needed. 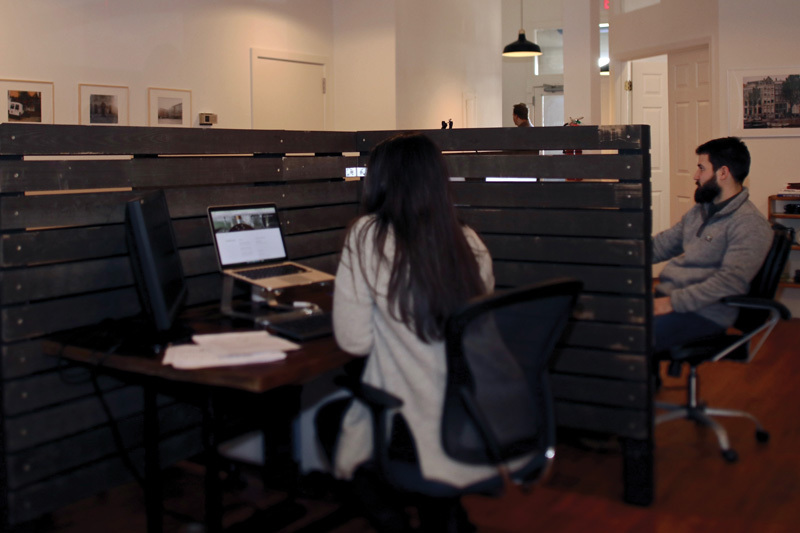 There are also “hot” desks that rent by the day, which, Olsen points out, may be ideal for someone who works at home and often goes to a coffee shop to get out of the house to do work. Conference rooms are available, as are other amenities, including fast, commercial Wi-Fi, office supplies and printers, ability to receive mail, and a kitchen. Like the serendipity in Olsen and Isenberg’s meeting, The Commons seems to foster spontaneous sharing and brainstorming. It could be a freelancer’s inquiry of a designer: What do you think of this logo? Or a startup business owner seeking information about insurance or best apps for bookkeeping. 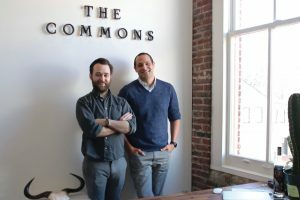 This is also why Isenberg and Olsen appreciate the location of The Commons in the Annapolis Arts District—near FinArt, The Lighthouse Bistro, Sailor Oyster Bar and Nancy Hammond Editions—and intend to use the space for community arts events. The Commons partnered with Urban Walls Brazil to present a talk by artist Cindy Berry Sullivan in the fall of 2017 and intends to do more of those. 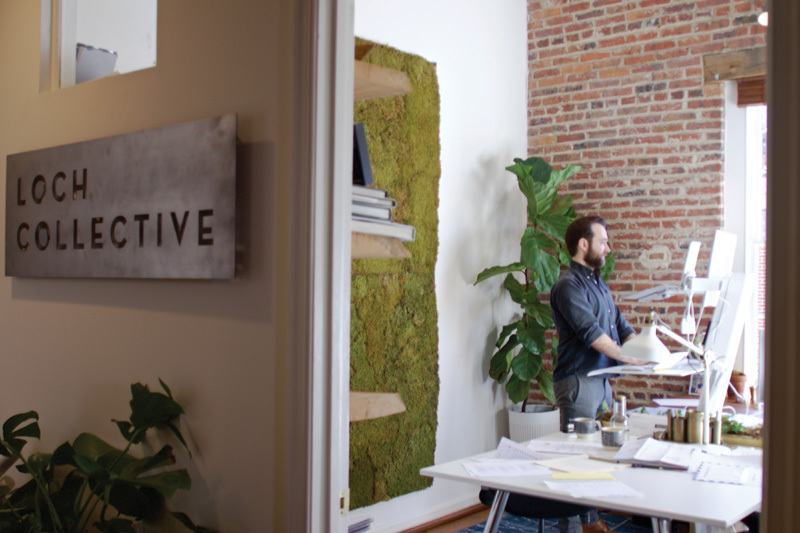 Another partnership is with the Maryland Federation of Art (MFA), aimed to help artists deepen their work and develop their businesses. 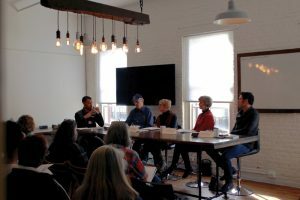 The first workshop, in mid-January, featured a panel that included artist Bill Schmidt, Friends of Quiet Waters Park Fine Arts Committee Sales Chair Jean Opilla, McBride Gallery’s Cynthia McBride, and artist, Anne Arundel Community College professor, and Baltimore-based Exeter Gallery co-owner Matt Klos. Before a packed room, they fielded questions by MFA Gallery Exhibitions Manager Thomas James about how to get work into juried shows and galleries. The opening reception at The Commons was planned to coincide with Annapolis Arts Week, which Isenberg, via Symmetry Agency’s work for Visit Annapolis & Anne Arundel County, helped to streamline into a weeklong event that included Paint Annapolis and events at local arts venues, and was capped off by the Arts and Wine Festival. That way, all of the individual events were promoted together. “The art community is super-fragmented,” says Isenberg, in terms of locations, communities, and styles. So the thinking was, why not create something everyone can get behind, brand it Annapolis Arts Week, and market it that way? Symmetry, including principal, artist, and graphic designer Darin Gilliam, handled the website branding pro bono. The site garnered 11,000 hits that month, Isenberg says, and the week was a success. Isenberg, Gilliam, and others are establishing a nonprofit to spearhead Annapolis Arts Week. This year, it will run 10 days, with highlights including the First Sunday Arts Festival and Dinner Under the Stars along lower West Street, the Arts and Wine Festival, and Paint Annapolis. Error: Error validating access token: Session has expired on Saturday, 09-Mar-19 15:57:50 PST. The current time is Wednesday, 24-Apr-19 07:24:27 PDT.